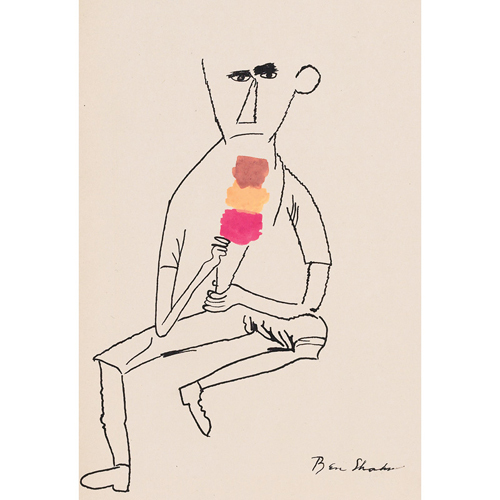 Ben Shahn (1898–1969) was a prolific artist and activist. This guy was plugged in. You can see his intimacy with the people he encountered both through his photographs and his art. 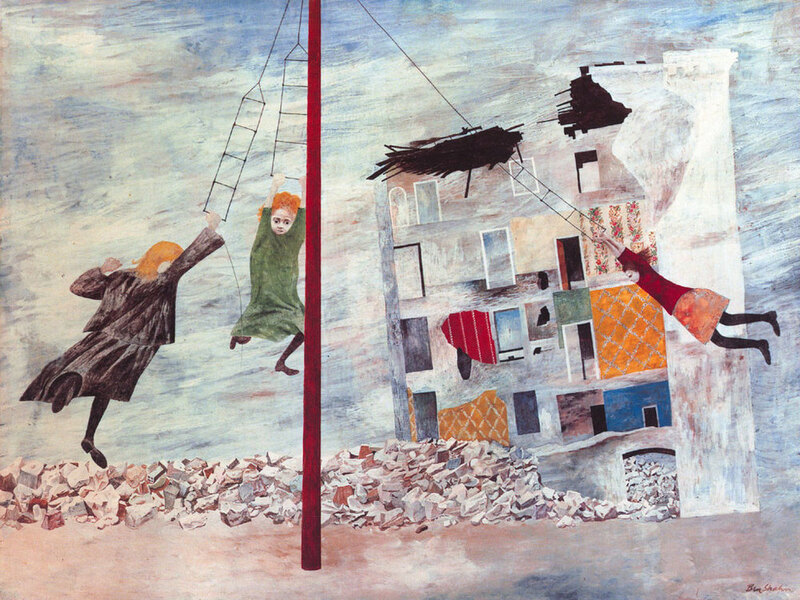 My appreciation of Shahn's work started with his drawings with thick, moody line quality and splashes of bright colour. There is a playfulness and freedom in his work, but also a strong sense of pathos. You get the sense that he is deeply connected to and sympathetic with his subjects. Shahn's work always has a sense of gravitas, of purpose. At the same time, you can really pick up on his quirky aesthetic fascinations, most notably with busy clusters of lines, whether from TV antennae or shopping carts or a gang of music stands.